is the confidence you gain with it. Everything you need to know about our service and having treatment abroad. Every day we greet UK patients seeking a cost saving alternative to their own local dental care. Complete dental makeover at an extraordinary 70% discounted price. Dental implants from £390 15 years to Lifetime Guarantee. Implant, veneer, crown. We do it all. 5,768 satisfied patients from the UK and Ireland since 2005. It doesn't seem possible. That we have delivered so many happy smiles. But it is. Our goal never changed. Work has to be done with the very latest technology, best available materials and work delivered by the highest qualified specialists. We stand by what we deliver with years of guarantee and attention to aftercare. Proud to brighten smiles since September 2005. 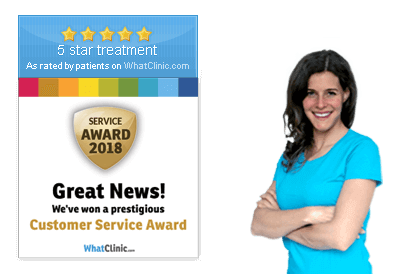 "...if I won the lottery tomorrow and could afford to use any dentist in the world, I would still use SODC because you do a great job..."
Every patient receives support from real people who know everything there is to know about dentistry and travel to Budapest. People you can call at +44 203 318 5606 whenever you have a questions or concern or send an email. Our concept is to exceed expectations with professionalism, guaranteed high quality and all round patient care and support. Your Smile is Our Passion. Consult with a specialist for free. Find out how much time and money you can save while vacationing. Watch, read and view patient comments, experiences about their recent dental visit to Budapest. Get answers about a treatment and travel arrangements before you decide. Talk with a knowledgeable Specialist. With most treatments you can save 50-70% compared to UK and Irish prices, even with the travel and accommodation cost taken into account. Most of our patients visit us for implants or other oral surgery and cosmetic treatments like crowns, veneers. Visit our page of case studies to see real life examples for the saving in case of implants and other treatments. How will I communicate with my Dental Team? All members of our team speak fluent English. All communication between you and your dentist shall be in English. Our dentists also speak German, French, and Russian. If you feel more confident using one of these languages you can use it with you dentist, but all official written communication is solely availably in English. SODC Dentist are selected for their excellence on the field of dentistry or oral surgery they provide. Our lead dentists and oral surgeons are members of several Hungarian and international cosmetic dentistry and oral surgery associations and academies. Hungarian dentists are famous throughout the world for their high qualification, expertise and practical experience so their credentials are up to par with any of those in the western countries. All our dentists are registered with the Hungarian Chamber of Dentists. How to make sure what treatment I need? You can attend our free and no obligation consultation to finalize your treatment plan. You may also send an x-ray (or CT scan) or pictures of your teeth for evaluation and to have professional advise about treatment options with treatment costs. How can I travel to Budapest, Hungary? Daily low cost flights are available through a great number of airlines. Please visit our travel page. We don't book flights, but help to find the best offers, and ones that suit your consultation or treatment in time. Our Patients Support Office will help with this, you may contact us by e-mail or phone at any time. How will I get from the airport to my hotel? An English speaking driver (or partner taxi company) will greet you upon arrival to take your to your chosen hotel or directly to the clinic depending on your arrival time. SODC Clinic offers free transport in Budapest. SODC Clinic offers quality dental treatment with the advantage of lower prices available in Hungary. All dental treatments are available for a 50-70% lower price compared to UK and Irish average treatment costs. SODC services include the highest-quality oral surgery, general dentistry, cosmetic dentistry and preventive care. At SODC Clinic expert oral surgeons, cosmetic dentistry specialists and skilled dental hygienists give you their undivided attention during your visit. All our services are designed to meet the special requirements of foreign patients. The clinic offers all it's services in English. We have established a Patient Support Office to help with travel and hotel arrangements and any enquiry regarding prices and our services. We also have our Aftercare department for returning patients, and offer extended guarantee packages that suit the need of dental tourists. For foreign patients SODC clinic has a 24h Emergency line. A dental implant is a titanium metal screw which is placed into the jawbone. It is used to support one or more false teeth. In practice, both the false teeth and their supporting rod are known together as implants. We offer substantial savings on dental implants. Our prices are 75% cheaper than UK, Ireland or Scandinavian countries. To receive a preliminary quote simply fill in our form and we shall within 24 hours send you a personalized quote, or attend our FREE Dental Day in Budapest at No Cost & No Obligation! Clinical research shows a lifespan of over 25 years for implant supported tooth restorations. As with natural teeth, good dental hygiene and regular checkups are most important to maintain healthy implants.